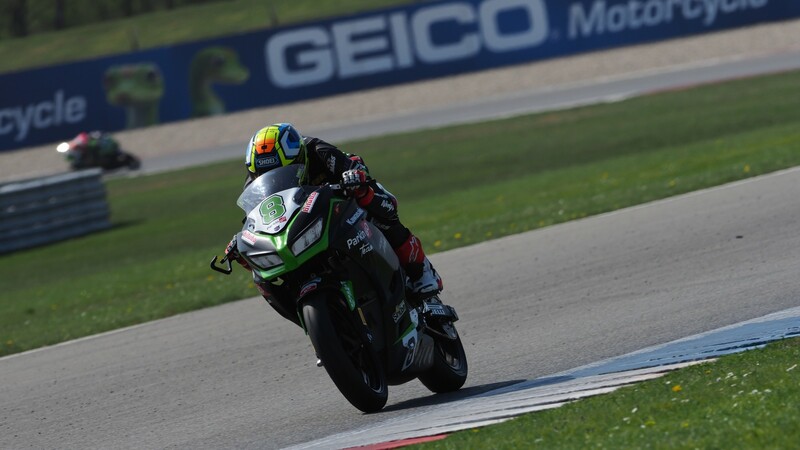 Mika Pérez (Kawasaki ParkinGO Team) took his second FIM Supersport 300 World Championship pole position in two races this season, despite a last lap crash denying him the chance to improve his times. 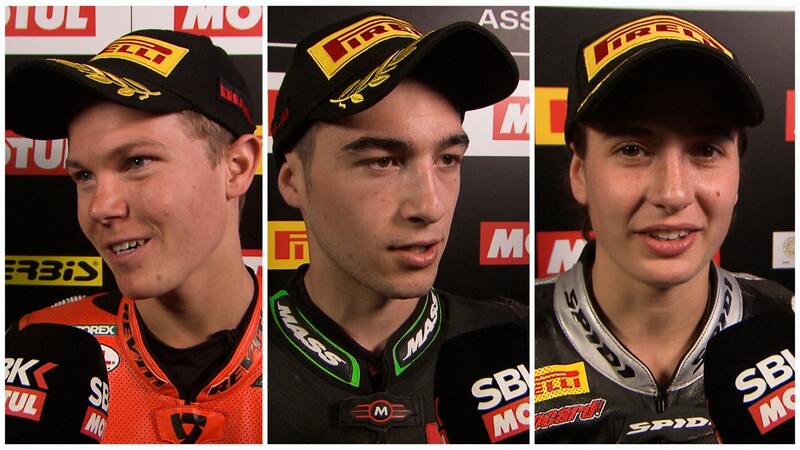 The Spaniard was particularly strong in the latter sectors of his lap and scored an early best time, with only championship leader Koen Meuffels (KTM Fortron Junior Team) coming close. 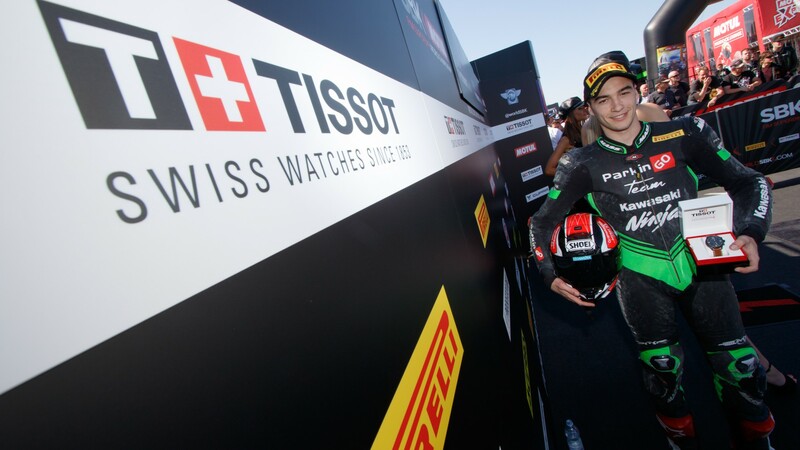 The home-country rider was just 0.036 seconds off Pérez, but will be in a perfect position to fight for a second win in only his second WorldSSP300 race. He’s joined on the front row by Ana Carrasco (DS Junior Team), who made it in in third position. 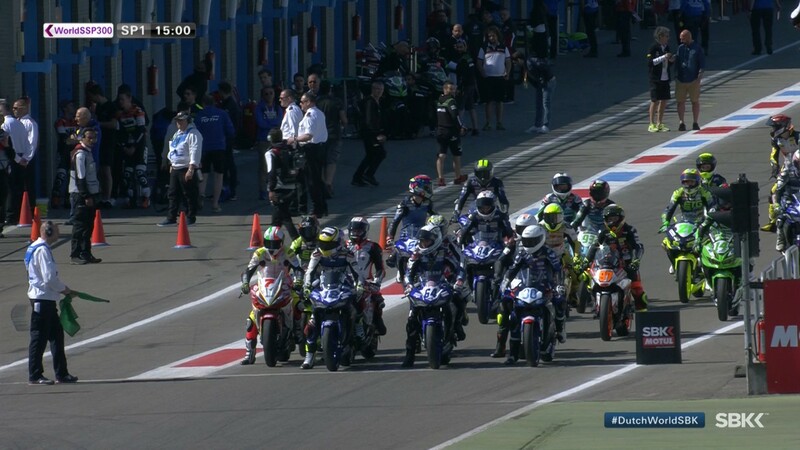 The second row has a strong Dutch flavor, with Glenn van Straalen (KTM Fortron Racing Team) using the slipstream from Meuffels to come in fourth and lead the line. Behind him, Robert Schotman (Motosport Kawasaki) leads a string of Kawasakis from fifth position, with Dorren Loureiro (DS Junior Team) completing the second row in sixth. 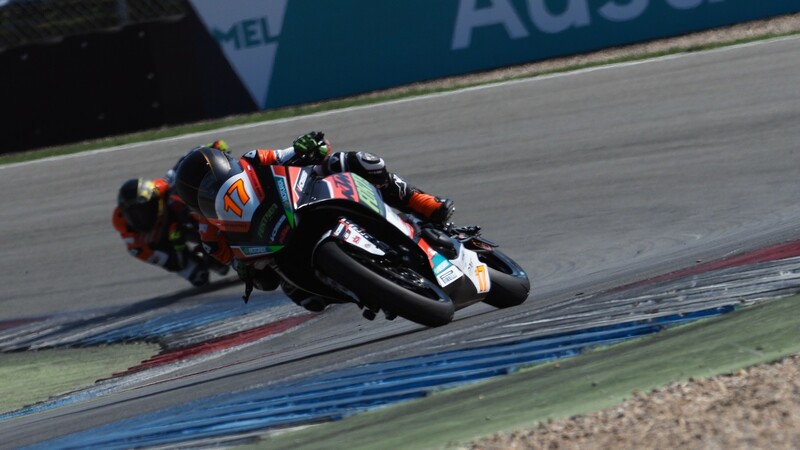 Scott Deroue (Motosport Kawasaki), winner of the first WorldSSP300 race at Assen last year, scored the fastest times in yesterday’s Free Practice sessions but will only start from seventh this time. 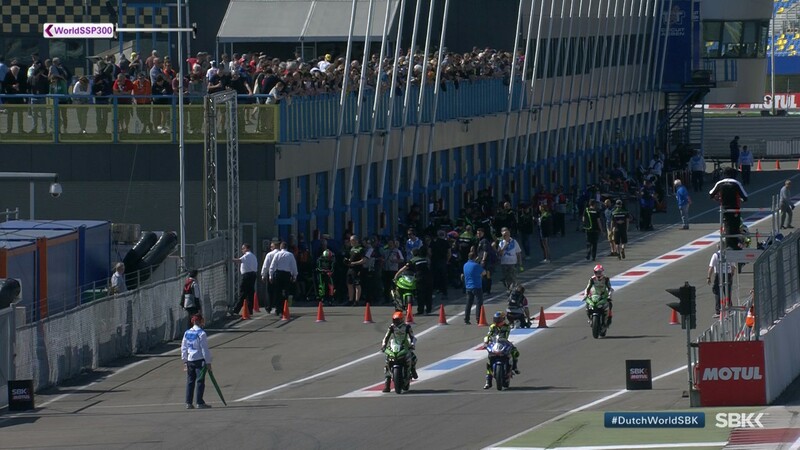 He starts ahead of Borja Sánchez (ETG Racing), who took the Superpole here last year, and Luca Grunwald (Freudenberg KTM WorldSSP Team) in eighth and ninth, both riders through from the Superpole 1. 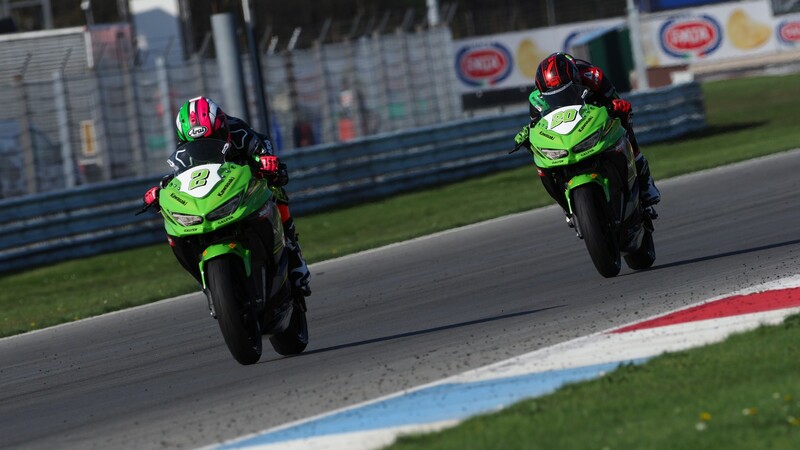 WorldSSP300 action returns tomorrow, with another thrilling race kicking off at 14:20 (12:20 GMT). 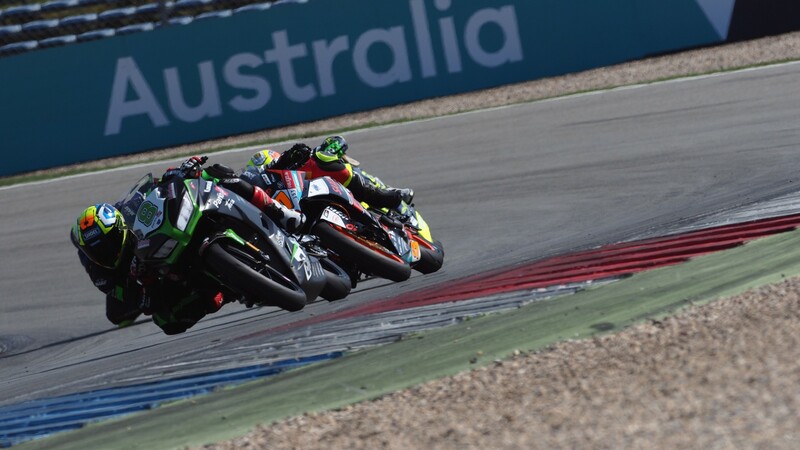 Don’t miss any of the MOTUL Dutch Round with the WorldSBK VideoPass.